A vacation rental in the state of New York provides a variety of attractions from the lush beaches in Long Island to scenic areas of the Adirondacks. Enjoy a short or long trip away from home in one of the amazing NY rental villas, condo rentals or rental house direct from vacation home owners. New York City is loaded with excitement day or night. Vacation Rentals in New York is the perfect destination for everyone of all ages. Long Island, NY is located 120 miles east ofNew York Cityand is where the famous summer resorts of the Hamptoms and Montauk are located. This area is perfect to enjoy the beaches, boating, skiing, fishing, along with other outdoor activities. You can enjoy the day shopping, then spend the evening dining at one of the fantastic restaurants in Long Island. The Adirondack Mountains and the Catskills is the ultimate destination to enjoy beautiful scenery, wildlife and an abundant of physical activities, such as hiking, biking, hunting and many others. Looking to enjoy a full vacation of boating and fishing check out the Finger Lakes, Hudson Valley and Thousand Islands in New York. New York City attracts millions of tourists every year. You can enjoy the fantastic dining, shops, arts and entertainment throughout the city. Spend the evening at one of the amazing broadway shows or take a stroll through Central Park. The nightlife consists of dancing at the clubs, wining and dining or spending a romantic evening with your significant other. Guests can also enjoy a day at the Metropolitan Museum. PopularNew York City Vacation Rentalsinclude: Times Square, the Chrysler Building, Rockefeller Center, the Empire State Building, St. Patrick's Cathedral and the Statue of Liberty. The state of New York is also home to Niagara Falls located of the western corner of the state. This is a fantastic place to visit and enjoy your vacation rental by owner. You can also enjoy an adventure on a tour boat at Horseshoe Falls. Whatever you are looking for in your next vacation, the state of New York provides the ultimate vacation for anyone. 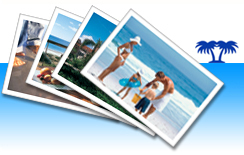 You can book your next vacation rental by owner right here at www.ivacationonline.com with ourvacation rental management softwarein just a few minutes. It's that easy, select your unit of choice, find the dates you want available and you can be booked for your next dream vacation.